Rizaldy T. Capulong, Executive Vice President of Investment Sector of the Philippines' Social Security System, as Keynote Speaker at 17th Annual Pacific Region Investment Conference. Mr. CAPULONG, CATP, CESO, ASA, AASP, Executive Vice President, Social Security System (Philippines), will focus on the main governance issues facing the SSS under the Duterte Administration, as well the strategies that have been implemented to improve the financial stability of the system. The Philippine Social Security System celebrates its 60th anniversary this year with 35,502,193 members, 2,194,046 pensioners and assets of US $10-Billion. SSS investment activities through six decades showcase the role that a national pension scheme can play in nation building and capital market development as it seeks to optimize returns while minimizing risk in a changing world, where politics always play a major role in fund governance. Mr. Capulong is the Head of the Investments Sector of the Social Security System (SSS), wherein he is responsible for the overall management of the US$10-B fund. He has assumed both the roles of Chief Actuary and Investments Head in his 26 years of public service at the SSS. Mr. Capulong served as an expert for the United Nations, the International Labor Office, the International Social Security Association, the World Bank, the Asian Development Bank, as well as social security institutions in Asia Pacific. He holds a Master of Science degree in Actuarial Science from University of Connecticut. The 17th Pacific Region Investment Conference will be held on November 30 and December 1, 2017 at the New World Makati City, Manila, Philippines. Gregorio Navarro served as Keynote Speaker at 16th Annual Pacific Region Investment Conference. On Thursday, December 1, 2016 Gregorio Navarro, managing partner and CEO of Navarro Amper & Co. te Philippine practice of Delotitte Touche Tohmatsu Limited, discussed "Good Corporate Governance" and " Applied Ethics". Gregorio Navarro is a resource person and speaker at various universities, corporations & institutions, including the Institute of Corporate Directors, Management Association of the Philippines (MAP), Financial Executives Association of the Philippines (FINEX). He is also the President of the Philippine Dispute ResolutionCenter, Chairman of the Board of Investments MultisectoralGovernance Council, Member of the Board of Visitors of the Philippine Military Academy and former President of MAP andFINEX as well as the Association of Certified Public Accountantsin Public Practice. He was Vice-chairman of the Integrity Initiativeand member of the Advisory Board of the Philippine DisasterResiliency Foundation. His good governance advocacies includeassisting a number of Criminal Justice Colleges in training anddeveloping case studies in ethics and good governance. Greghas edited and published a handbook on the OECD CorporateGovernance Principles. He has facilitated a worldwide foruminvolving students in many parts of the world, sponsored by theWorld Bank Institute, on combating corruption and improvinggovernance. He also organized an anti-corruption forum duringthe 2015 APEC meeting in the Philippines. Ernest Cu, President and CEO of Globe Telecom Inc., served as Keynote Speaker at 15th Annual Pacific Region Investment Conference. On Thursday, December 3, 2015 Ernest Cu, President and CEO of Globe Telecom Inc, discussed the"Transformation of the Telecom Industry in the Philippines & Asia Pacific Region,"
With over 20 years of experience in the technological, marketing, and financial aspects of the electronic publishing and database management industries, Mr. Cu has held several key executive positions in various companies before eventually going at the forefront of Globe in 2009. Patrick Schussman, Executive Director of Institutional Business Development at Graystone Consulting, served as Keynote Speaker at 14th Annual Pacific Region Investment Conference. Patrick M. Schussman, CFA® CIMA® AIF® has been involved in the development, and delivery, of institutional investment consulting services for over 27 years. Most recently, Patrick served as Executive Director of Institutional Business Development at Graystone Consulting. Prior experience includes serving as the Western Division Director of Consulting Group of Morgan Stanley, as well as Senior Divisional Analyst. Prior to Consulting Group, Patrick worked with some of the nation’s largest public and private pension plans during four years with Wilshire Associates Pension Consulting Division. Financial Analyst Institute (CFA Institute), Investment Management Consultants Association (IMCA), and the CFA Society of Los Angeles (CFALA). Patrick is also an Accredited Investment Fiduciary (AIF®). Lorenzo V. Tan, President & CEO of Rizal Commercial Banking Corporation (RCBC), served as Keynote Speaker at 13th Annual Pacific Region Investment Conference. For the first time, the conference featured a Filipino keynote speaker, Lorenzo V. Tan, President & CEO, Rizal Commercial Banking Corporation (RCBC). Tan focused on how the Philippines is becoming an aggressive prospect for investment,how the country has managed to keep control of its inflation rates and lowered its interest rates and pinpointed the big opportunities for growth and investment in the country. He shared with delegates, “Don’t look at the tree, look at the forest,” as a reminder that the many risks and challenges add to the value of the greater investment. Mr. Lorenzo Villanueva Tan steered the bank to unprecedented growth on his first 5 years. 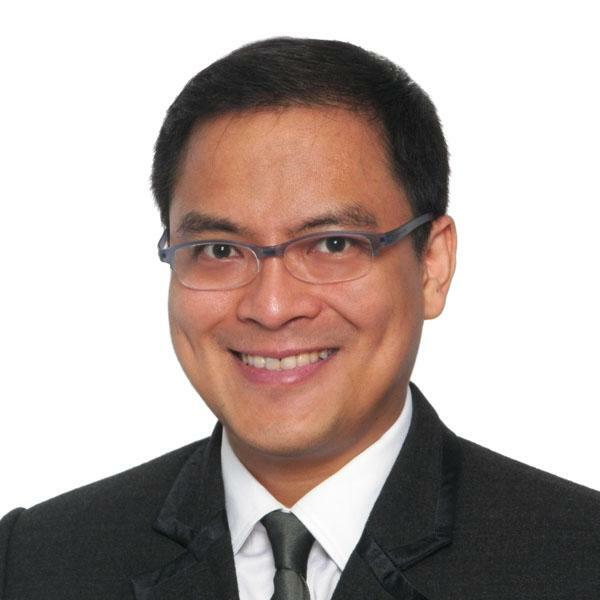 He is a recipient of the Ten Outstanding Young Men of the Philippines Award for Banking in 1999, the International Association of Business Communicators CEO Excel Award for Insurance in 2006, and the Lifetime Achievement Awardee (2011) in Finance from De La Salle University. Mr. Tan graduated from De La Salle University with a Bachelor of Science degree in Commerce and holds a Master of Management degree from the J.L. Kellogg Graduate School of Management, Northwestern University in Evanston, Illinois, USA.